Dimensions : Ø 21 x H 42 cm - Lower opening: Ø 15.5 cm - Cable: L 200 cm max. 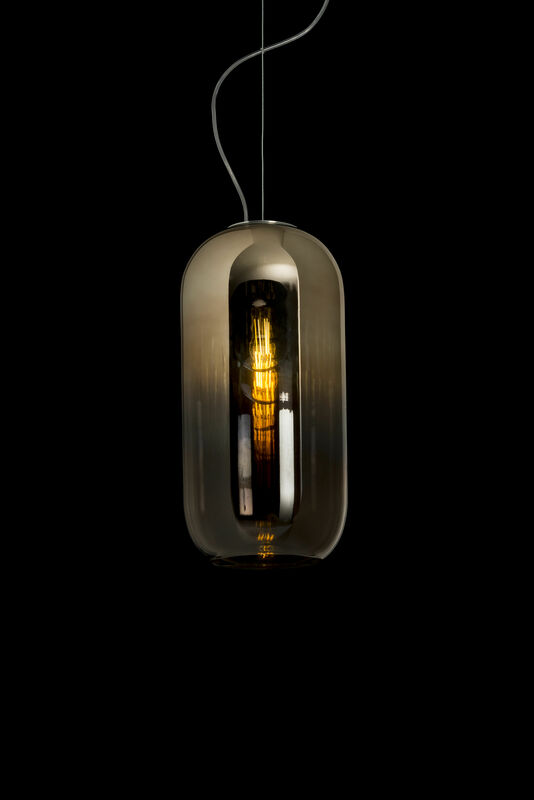 The organic and pure form of the Gople pendant glorifies the beauty of blown glass. This light has undergone an ancient and traditional Venetian technique in order to get a particular colour. 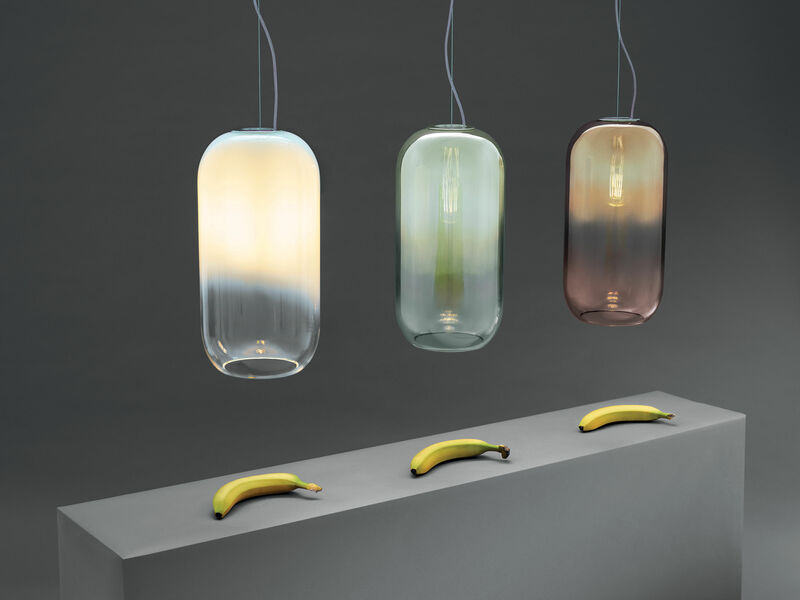 Focused on the future, Artemide has also used an innovative vacuum metallising technology. Subtly tinted, the glass has a wonderful gradient effect. The opaque colour on the top of the shade becomes more and more translucent as you go down. Like a cloud which is breaking up in the sky, Gople seems to come apart bit by bit, its footprint in the space becoming less and less marked. 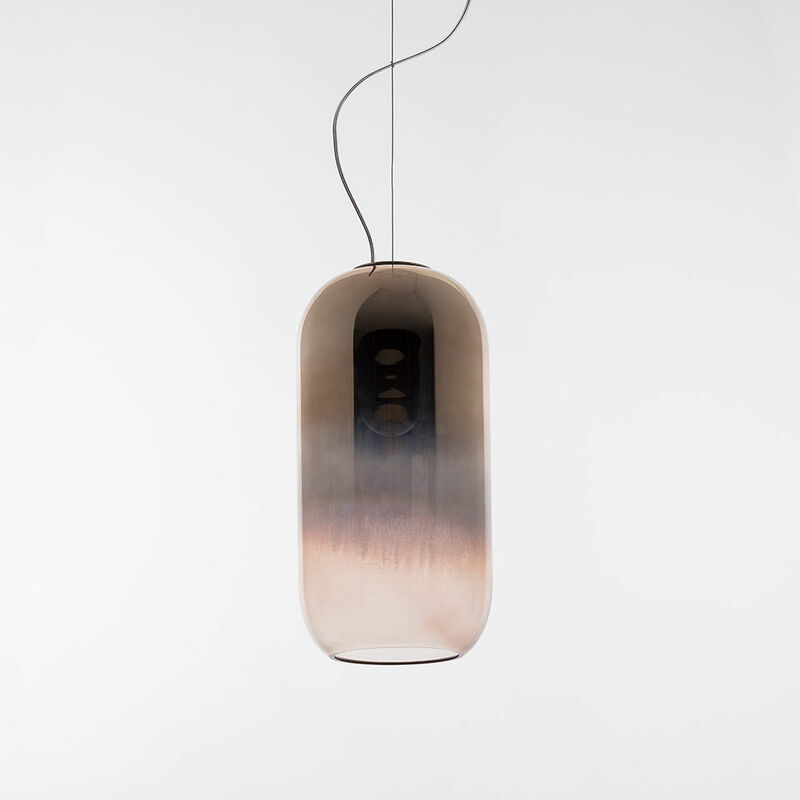 A very poetic effect which showcases exceptional craft work with glass. The glass diffuser masks the light source while optimising the direct emission thanks to the transparency. Hand-crafted in Italy, each lamp is a unique piece. The Gople pendant is also available with a RWB system which encourages photosynthesis and helps your plants to grow (please ask us for more info. ).